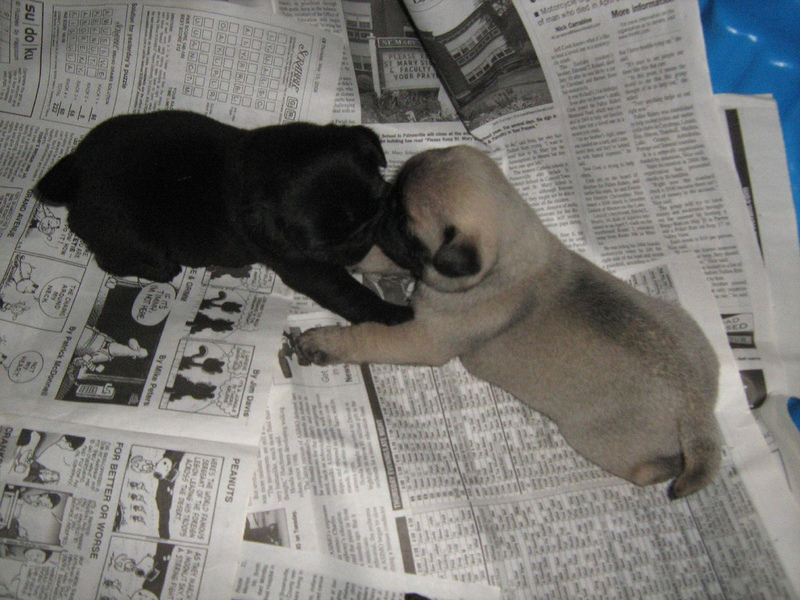 The only thing that can melt our hearts more than looking at pugs is looking at pug puppies. These two little smoochy pooches have made our day, so we wanted to share them with you! It looks like they are really getting into the Sunday paper!